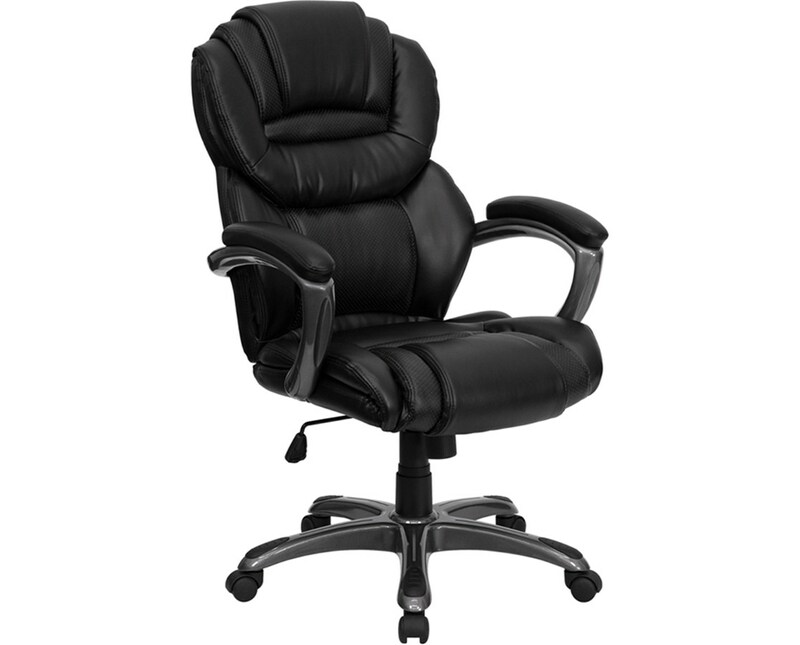 The Flash Furniture High Back Leather Executive Chair GO-901-BK-GG has a bold, eye-catching look that will give your home or office a distinctive style all its own. 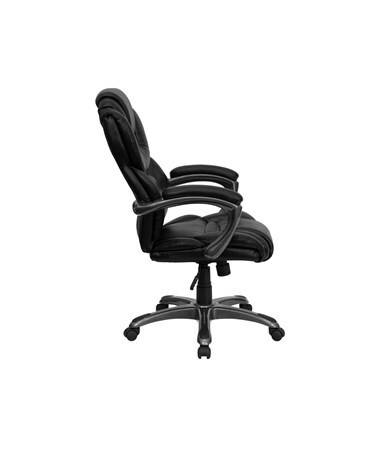 This office chair's sculpted cushions and bonded leather upholstery come in a choice of 2 styles: black with titanium finish nylon base and padded armrests, or brown with silver finish base and armrests. The 5-star base has matching anti-skid caps along the top and swiveling wheels. 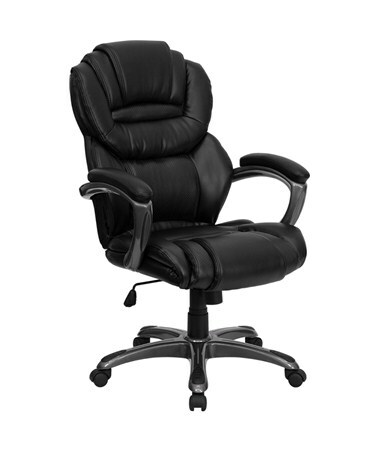 This desk chair features pneumatic seat height control from 17¾” to 21½”. 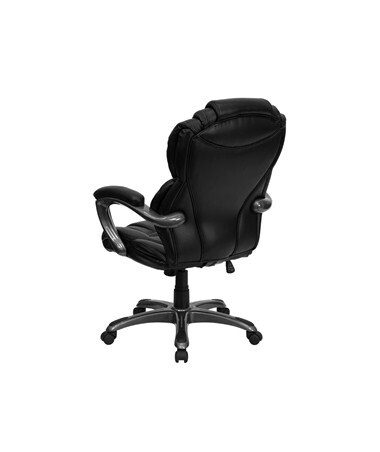 Seat and back tilt-angles are adjustable, with tension control and tilt lock. The seat swivels 360 degrees. 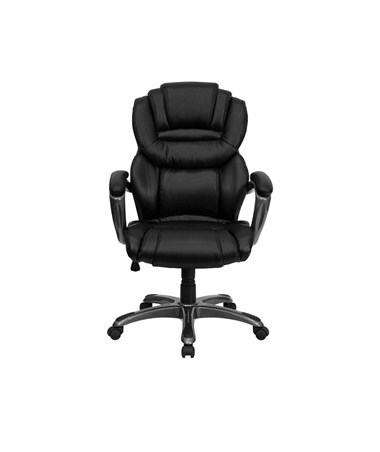 The padded back and seat of this executive chair provide built-in lower back and head support. The backrest is 21½”W x 26”H; the molded foam seat cushion is 21¾”L x 20½”W. Weight capacity is 250 pounds. Some assembly is required.